Okay. So let’s just *say* that we have a little, ahem, announcement. And if we were to, in theory, have an announcement, what would you all *guess* this announcement would be? I’d love to have a little guessing game… whoever guesses the closest will win a little something from me, you lucky dog 😉 It would be the perfect time for anyone wanting to jump in and introduce themselves to go for it! Well…….this leaves our imaginations flowing!!!!! Either you are prego with twins or Jude took his first steps by himself. I’m going to give your body a break and go for Jude has taken 3 steps on his own! Great idea…can’t wait to hear the news! I’m a sucker for guessing games. OK, my guess is that you are moving to a bigger house on a horse farm in Massachusetts (that’s where I live, hee hee- but not on a horse farm) because you love horses and need the bigger house to adopt a Golden Retriever and a tabby cat, AND maybe you are also pregnant and due in June. Was that specific enough? With triplets. And the house is white. I think I’m done. Let’s see… Jude has been home for 6 months. My guess is that you are adopting another sweet boy from China!!! Ok… that made me tired just typing that! I’m still working on convincing my husband that we have another child out there and that they are on a special needs list from China. My guess is that you are adopting again. Maybe a boy about Judes age. I am trying to get my hubby to agree to just one more. We have four boys and I am sure that there is a little girl in China that needs me. It would definately be God if he agrees to do that. ohhh…now this is exciting for a Monday morning! My guess is that you are adopting SN twins from China (of course)…two girls! What? And they will be home by Christmas!?! Can’t wait to hear! I think Jude is walking? …first thought was you were adopting again but Jude walking would be just as special! 3. You are adopting again, but not from China. All right, OUT WITH IT! What’s his name? Her name? No, I think it’s a boy…. I’m thinking he’s around Jude’s age and from the same orphanage. I don’t have a guess, but if you’re adding to your beautiful family again I’m going to have a mini heart-attack. I am already so in love with your gorgeous gaggle of kids! …as we still await our first! Everybody guessed my first guess, which is that you are adopting again, which I just think that would be SO FUN!–if that’s true, my specifics are GIRL, limb-difference special need, age 6? My second guess was already mentioned too, that you’re moving–if that’s true, my specifics are that you’re going into full time mission work with LWB and you’re moving to China. Thanks for the info on the airplane! I bet your boys LOVED seeing Santa come in on that! Cool beans. Give us the juicy details on your announcement soon! Do you work for LWB? Your taking your family to Disney World over the holidays! I don’t know you very well, but I think that you are pregnant this time…due in May! You are prego.. no.. you are adopting…no maybe a bigger house? Oh, please tell us, I am not good at the patience thing. tori made the dean’s list or someone is now potty trained! ok, I can’t take this anymore. I think you are adopting again. From Ethiopia. A little girl. Are you donating your beautiful hair to Locks for Love? Are you adopting AGAIN? I do not know how you do it!! You are going to have to start a seminar and give pointers on organizational skills! I am in awe! Best of luck in whatever your news is! I think that Jude is walking on his own but then again – maybe another little boy from China. Ok, I am going to stay with Jude is walking!!! OK, I have checked back several times today (each without guessing myself). I figure maybe if I go ahead and guess, the next time I check maybe I’ll see the announcement. I am with all the folks that can’t stand the suspense!!!! I can’t imagine you adopting again quite so soon but, you ARE wonder woman and one of the only people I know who could do it. Now…spill the beans!!!! We are all so excited for whatever it is. I say that Tori is on the honor roll at college for her first semester… I think that’s a unique guess, right? 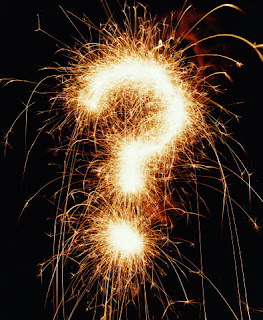 In addition to my other quirks, I don’t handle suprises/ not knowing very well……. OMG….another adoption?!?!?!?!?!? Do tell Steph!!!! Spill it lady. SPILL IT. My first thought is that you have fallen in love with another waiting child and God is providing the finances, so you are going for it! Or perhaps we are all just way too dramatic and the REAL announcement is that you are going red- as in deep red hair! Go for it girl! You could totally pull it off! Okay, none of us know, except for maybe Tori, who has confessed to NOT being engaged, so do tell…!! I’m sorry to be a lurker! I’ve LOVED following your family’s story ever since going to China to fetch my niece (and got hooked on other adoptive family blogs and stories). Thank you so much for sharing! I think your BIG news is…….you’re adding another little one (or maybe not so little one???) to your lovely family. I’ll say another little guy on the waiting child list with a heart murmur. OR…..I have to say that I’m leaning toward a pregnancy of your own????? Looking forward to hearing your good news! I have no clue…but my first thought was you are adopting again…which I think would be WONDERFUL! !…I want a house full myself. Whatever it is, tell tell….I can’t wait to know. 2. need to come over to my house and tell me what I’m doing wrong! 3. start your own soccer team! 4. get a bigger house! 6. stop looking so bloody fantastic like motherhood isnt exhausting. I know you must be having transfusions of unicorn blood or something…noone looks so good with seven kids…. OH MY GOD…are you going to be on OPRAH! oh, and if you are PREGNANT and look as good as you do while managing all your kids…well…I’ll just stop right now and give up. You are waiting for PA for a little boy! Okay…so I went to bed not knowing….I got up and still don’t know….now I have to go to work without knowing….I might have to have lunch at home today so I can check! You cannot TOP Hayley’s commentary.